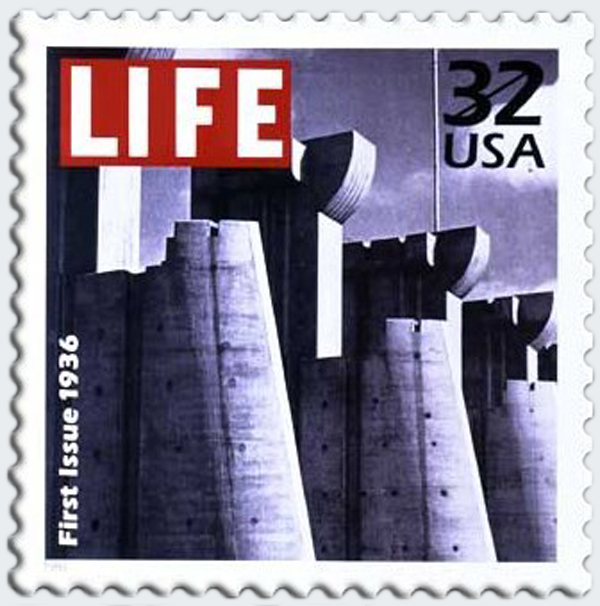 First issue of Life is published: On November 23, 1936, the first issue of the pictorial magazine Life is published, featuring a cover photo of the Fort Peck Dam by Margaret Bourke-White. Life actually had its start earlier in the 20th century as a different kind of magazine: a weekly humor publication, not unlike today’s The New Yorker in its use of tart cartoons, humorous pieces and cultural reporting. 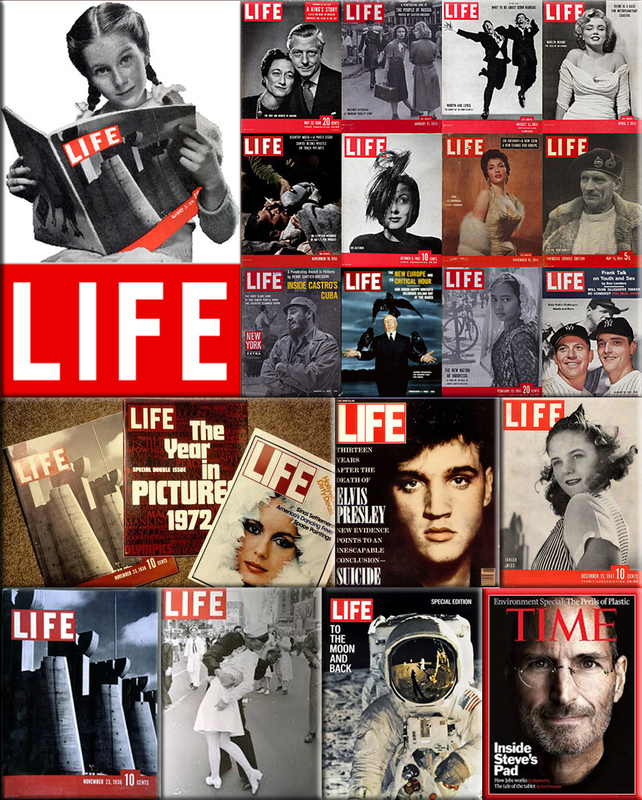 When the original Life folded during the Great Depression, the influential American publisher Henry Luce bought the name and re-launched the magazine as a picture-based periodical on this day in 1936. By this time, Luce had already enjoyed great success as the publisher of Time, a weekly news magazine. From his high school days, Luce was a newsman, serving with his friend Briton Hadden as managing editors of their school newspaper. This partnership continued through their college years at Yale University, where they acted as chairmen and managing editors of the Yale Daily News, as well as after college, when Luce joined Hadden at The Baltimore News in 1921. It was during this time that Luce and Hadden came up with the idea for Time. When it launched in 1923, it was with the intention of delivering the world’s news through the eyes of the people who made it. 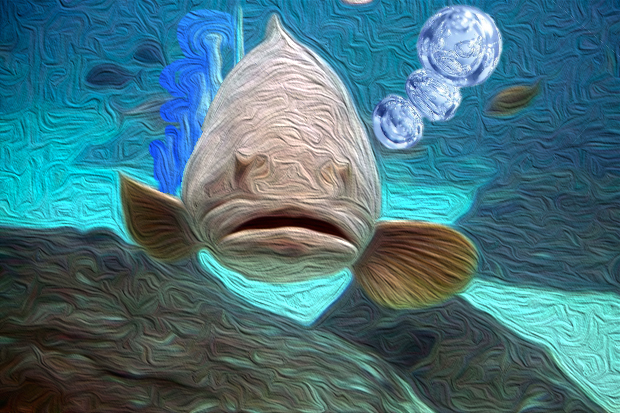 Whereas the original mission of Time was to tell the news, the mission of Life was to show it. In the words of Luce himself, the magazine was meant to provide a way for the American people “to see life; to see the world; to eyewitness great events … to see things thousands of miles away… to see and be amazed; to see and be instructed… to see, and to show…” Luce set the tone of the magazine with Margaret Bourke-White’s stunning cover photograph of the Fort Peck Dam, which has since become an icon of the 1930s and the great public works completed under President Franklin Roosevelt’s New Deal. Life was an overwhelming success in its first year of publication. Almost overnight, it changed the way people looked at the world by changing the way people could look at the world. Its flourish of images painted vivid pictures in the public mind, capturing the personal and the public, and putting it on display for the world to take in. At its peak, Life had a circulation of over 8 million and it exerted considerable influence on American life in the beginning and middle of the 20th century. With picture-heavy content as the driving force behind its popularity,the magazine suffered as television became society’s predominant means of communication. Life ceased running as a weekly publication in 1972, when it began losing audience and advertising dollars to television. 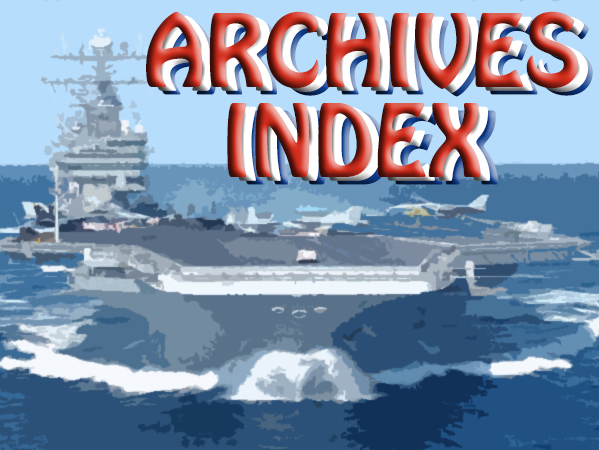 In 2004, however, it resumed weekly publication as a supplement to U.S. newspapers. At its re-launch, its combined circulation was once again in the millions. (DOD) Programs and projects managed by United States forces but executed primarily by indigenous military or security forces that contribute to the economic and social development of a host nation civil society thereby enhancing the legitimacy and social standing of the host nation government and its military forces. Also called MCA. 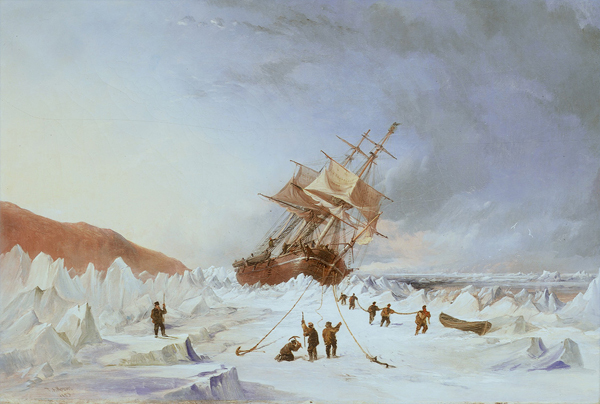 On May 19, 1845, two ships, HMS Erebus and HMS Terror, departed England and set sail for the Canadian Arctic. 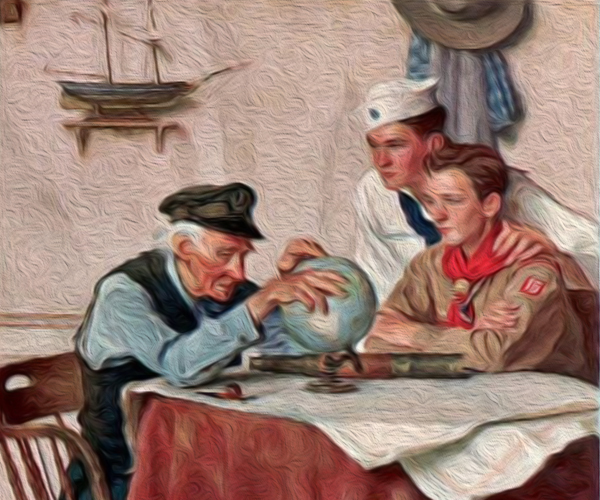 Their goal was to travel through the treacherous waters of the Northwest Passage that separated the Atlantic and Pacific oceans. Led by Sir John Franklin, the ships were to collect samples and conduct scientific studies along the way. Out of the 134 officers and men on the expedition, not a single one ever returned. 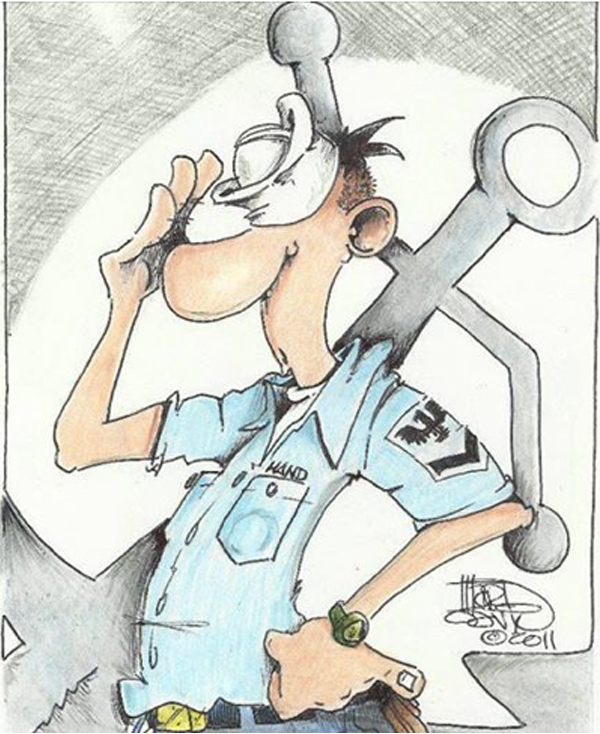 “The best antidote I know for worry is work. who is even more tired. 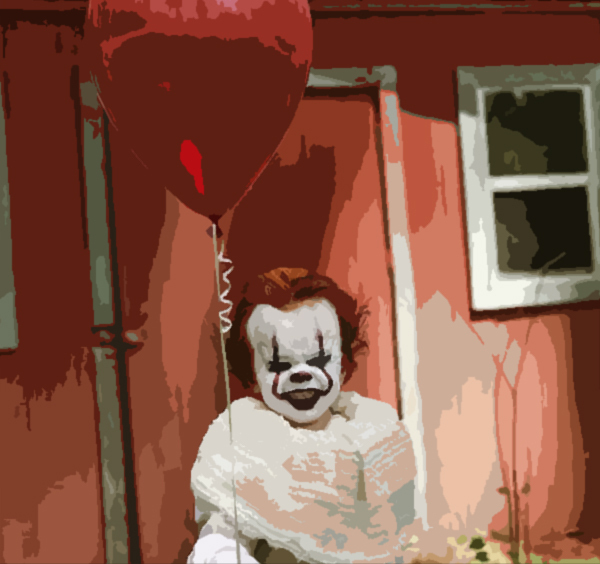 A three-year-old boy in Meridian, Mississippi, loves clowning around, but it’s creeping out the internet. Louie Tilghman has scared up lots of interest online thanks to a photo shoot that shows him dressed as Pennywise, the creepy clown from the new movie “It”, based off the Stephen King novel of the same name. The creepy photo shoot is the brainchild of Louie’s 17-year-old brother, Eagan. Doing elaborate photo shoots is a hobby of the elder Tilghman, who often recruits his seven younger siblings to pose for him. 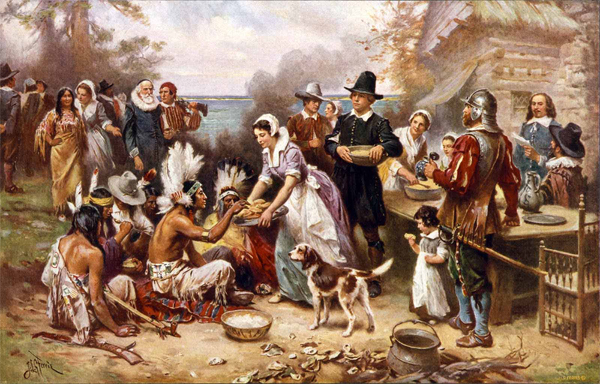 What kind of music did the Pilgrims like? Plymouth Rock. Mr. Answer Man Please Tell Us: The Origins of Thanksgiving Traditions? There's a lot more to Thanksgiving than just the turkey and the Pilgrims. And though most celebrations will break out the cranberry sauce and pumpkin pie, there are a number of other customs that you might be less aware of (and some that are becoming too ubiquitous to miss). Many towns host brisk morning runs to lessen the guilt about the impending feast (distances and times vary from race to race, but the feel-good endorphins are universal). The oldest known Turkey Trot footrace took place in Buffalo, New York, and has been happening every year since 1896. Nearly 13,000 runners participated in the 4.97 mile race last year. During their annual TurkeyFest in November, they gather a bunch of turkeys and have the “Great Gobbler Gallop”, a turkey race. It started in 1908 when a turkey dressing house opened in town. Early in November, farmers would herd their turkeys down the road toward the dressing house so the birds could be prepared for Thanksgiving. This was quite a spectacle—as many as 20,000 turkeys have been part of this “march”. Everyone knows about the Macy's Parade, however a more historically accurate parade, it is America's Hometown Thanksgiving Parade in Plymouth. The parade starts with a military flyover and continues with floats and costumed people taking the parade-goers from the 17th century to the present time. There are nationally recognized Drum and Bugle Corps, re-enactment units from every period of American history, and military marching units. And military bands play music honoring the men and women who serve in each branch: the Army, the Navy, the Marines, the Air Force, and the Coast Guard. Some families include breaking the turkey's wishbone as part of their celebration. The wishbone is found attached to the breast meat in the turkey's chest. After the meat has been removed and the wishbone has had a chance to become dry and brittle, two people each take one end of the bone, make a wish, and pull. Whoever ends up with the larger part of the bone gets their wish! CBS was the first on the bandwagon when they televised their first Thanksgiving game in 1956. The first color broadcast was in 1965—the Lions vs. the Baltimore Colts. Since the 1960s, the Dallas Cowboys have joined the Lions in hosting Thanksgiving Day games, and the NFL Network now airs a third game on that night. The National Dog Show is aired every year on the occasion of Thanksgiving Day following the Macy's Thanksgiving Parade. The program over the years has become America's most watched dog show. Rack Burns: Reddish marks seen on the face of a sailor who has just emerged from sleeping in his/her rack. Scorned upon if he/she was not supposed to be there. Skivvies: Underwear: skivvie shirt (T-shirt) and skivvie drawers (underwear). Skuzz: To wash a deck or floor with a brush or towel (skuzz rag) in place of a mop, used in Boot Camp as a method to physically toughen recruits while cleaning the squadbay. Skylark: To casually frolic or take excess time to complete a task, from the old naval term to run up and down the rigging of a ship in sport. “Go Cold Turkey” Meaning: The sudden and complete withdrawal from an addictive substance and/or the physiological effects of such a withdrawal. Also, predominantly in the U.S.A., plain speaking. 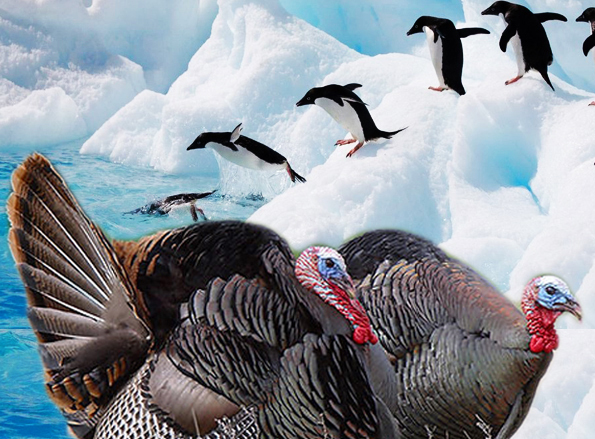 Origin: The term 'cold turkey' is now predominantly used as the name of the drug withdrawal process. Also, by extension, it is used to refer to any abrupt termination of something we are accustomed to. To find the origin of the term we need to delve into the annals of American speech. Let's talk turkey. 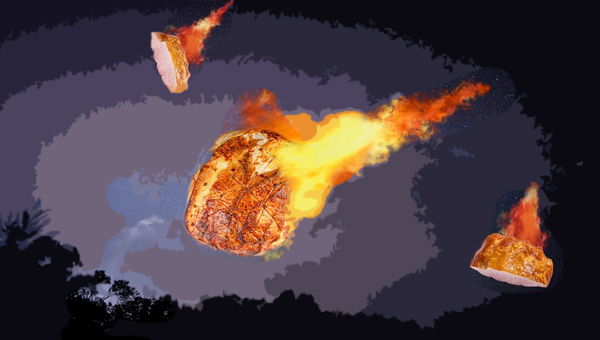 Summer technically starts on June 21, but everyone knows the season doesn't really begin until a big ol' hunk of mysterious ham falls on a roof. On July 15, a Florida family awoke at 4 a.m. to the sound of a loud crash on their roof. The impact was apparently caused by a 15-pound frozen bag of ham and sausage. Travis Adair, the homeowner, told WPLG Local 10 that he called the company listed on the bag of ham and they didn't have any answers as to how or why it ended up on his roof. To make matters even more strange, a delivery address on the ham bag led to a man who lives 170 miles from Adair who says he also has no idea how it ended up on a roof at 4 a.m. So much ham, so few answers. 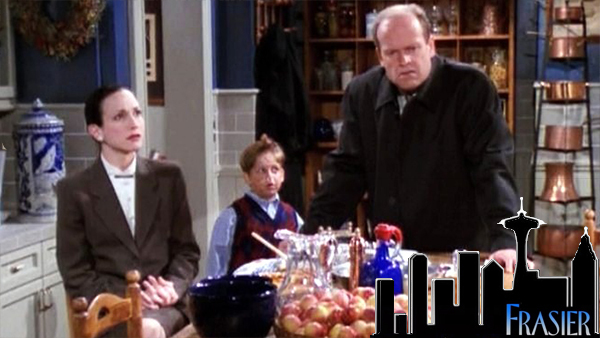 “We've tossed a lot of things around, you know, you've got your planes, and your sausage throwing machines... I think the only logical answer is a North Korean sausage missile”, said Adair. This was Harrison's first single as a solo artist, and it was his biggest hit. The song is about the Eastern religions he was studying. When this song was released, the phrase “Hare Krishna” was associated with a religious group called the International Society for Krishna Consciousness, whose members would often approach passengers in airports, seeking donations and trying to solicit members. Individuals in this group became popularly known as “Hare Krishnas”, with a generally negative connotation. In 1976, Bright Tunes Music sued Harrison because this sounded too much like the 1963 Chiffons hit “He's So Fine” . Bright Tunes was controlled by The Tokens, who set it up when they formed the production company that recorded “He's So Fine” - they owned the publishing rights to the song. During the convoluted court case, Harrison explained how he composed the song: He said that in December 1969, he was playing a show in Copenhagen, Denmark, with the group Delaney and Bonnie, whose piano player was Billy Preston (who contributed to some Beatles recordings). 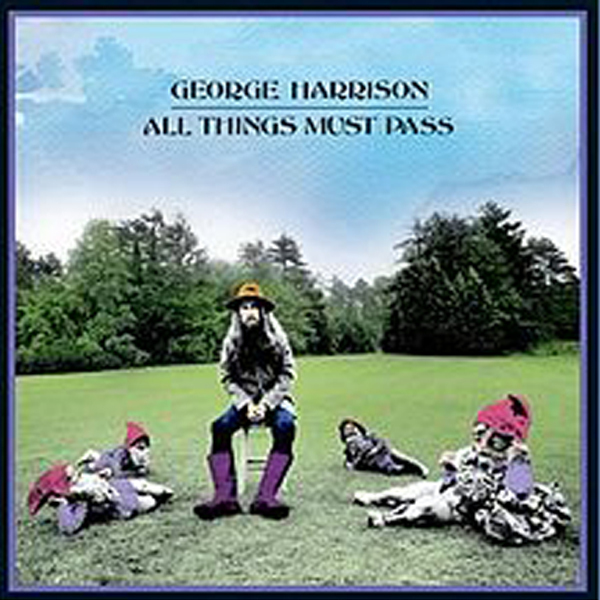 Harrison said that he started writing the song after a press conference when he slipped away and started playing some guitar chords around the words “Hallelujah” and “Hare Krishna”. He then brought the song to the band, who helped him work it out as he came up with lyrics. When he returned to London, Harrison worked on Billy Preston's album Encouraging Words. They recorded the song for the album, which was released on Apple Records later in 1970, and Harrison filed a copyright application for the melody, words and harmony of the song. Preston's version remained an album cut, and it was Harrison's single that was the huge hit and provoked the lawsuit, which was filed on February 10, 1971, while the song was still on the chart. In further testimony, Harrison claimed he got the idea for “My Sweet Lord” from The Edwin Hawkins Singers' “Oh Happy Day” , not “He's So Fine” . The trial took place February 23-25, with various expert witnesses testifying. The key to the case was the musical pattern of the two songs, which were both based on two musical motifs: “G-E-D” and “G-A-C-A-C”. “He's So Fine” repeated both motifs four times, “My Sweet Lord” repeated the first motif four times and the second motif three times. Harrison couldn't identify any other songs that used this exact pattern, and the court ruled that “the two songs are virtually identical”. And while the judge felt that Harrison did not intentionally copy “My Sweet Lord”, that was not a defense - thus Harrison was on the hook writing a similar song without knowing it. Assessing damages in the case, the judge determined that “My Sweet Lord” represented 70% of the airplay of the All Things Must Pass album, and came up with a total award of about $1.6 million. However, in 1978 Allen Klein's company ABKCO purchased Bright Tunes for $587,000, which prompted Harrison to sue. In 1981, a judge decided that Klein should not profit from the judgment, and was entitled to only the $587,000 he paid for the company - all further proceeds from the case had to be remitted back to Harrison. The case dragged on until at least 1993, when various administrative matters were finally settled. 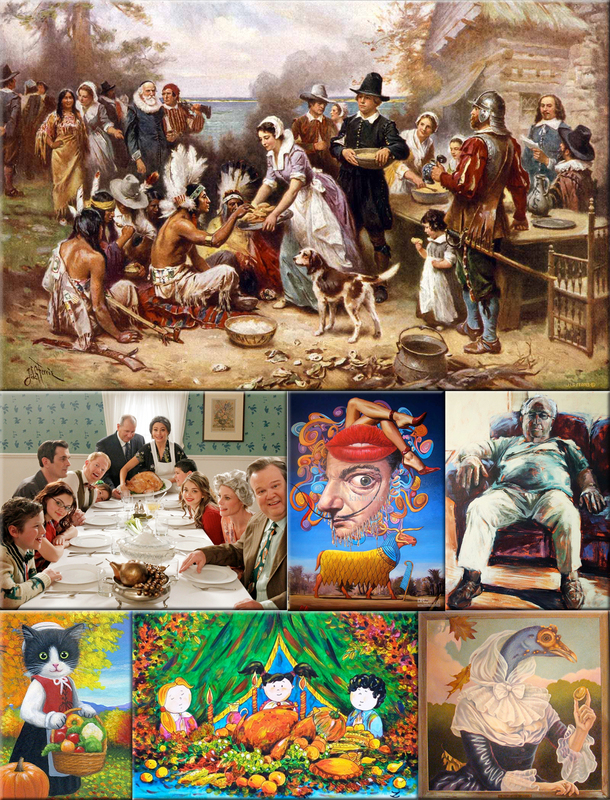 Fiction: In 1863, President Abraham Lincoln designated the last Thursday in November as a national day of thanksgiving. in 1939, after a request from the National Retail Dry Goods Association, President Franklin Roosevelt decreed that the holiday should always be celebrated on the fourth Thursday of the month (and never the occasional fifth, as occurred in 1939) in order to extend the holiday shopping season by a week. Fiction: The Philadelphia department store Gimbel’s had sponsored a parade in 1920, but the Macy’s parade, launched four years later, soon became a Thanksgiving tradition and the standard kickoff to the holiday shopping season. The parade became ever more well-known after it featured prominently in the hit film Miracle on 34th Street (1947), which shows actual footage of the 1946 parade. Fact: According to the Cape Cod Cranberry Growers’ Association, one of the country’s oldest farmers’ organizations, Native Americans used cranberries in a variety of foods, including “pemmican” (a nourishing, high-protein combination of crushed berries, dried deer meat and melted fat). They also used it as a medicine to treat arrow punctures and other wounds and as a dye for fabric. The Pilgrims adopted these uses for the fruit and gave it a name “craneberry” - because its drooping pink blossoms in the spring reminded them of a crane. Fact: Turkey does contain the essential amino acid tryptophan, which is a natural sedative, but so do a lot of other foods, including chicken, beef, pork, beans and cheese. Though many people believe turkey’s tryptophan content is what makes many people feel sleepy after a big Thanksgiving meal, it is more likely the combination of fats and carbohydrates most people eat with the turkey, as well as the large amount of food (not to mention alcohol, in some cases) consumed, that makes most people feel like following their meal up with a nap. Fiction (kind of): Domesticated turkeys (the type eaten on Thanksgiving) cannot fly, and their pace is limited to a slow walk. Female domestic turkeys, which are typically smaller and lighter than males, can move somewhat faster. Wild turkeys, on the other hand, are much smaller and more agile. They can reach speeds of up to 20-25 miles per hour on the ground and fly for short distances at speeds approaching 55 miles per hour. They also have better eyesight and hearing than their domestic counterparts. Fact: The turkey trot, modeled on that bird’s characteristic short, jerky steps, was one of a number of popular dance styles that emerged during the late 19th and early 20th century in the United States. The two-step, a simple dance that required little to no instruction, was quickly followed by such dances as the one-step, the turkey trot, the fox trot and the bunny hug, which could all be performed to the ragtime and jazz music popular at the time. Fiction: The American tradition of college football on Thanksgiving is pretty much as old as the sport itself. The newly formed American Intercollegiate Football Association held its first championship game on Thanksgiving Day in 1876. At the time, the sport resembled something between rugby and what we think of as football today.